Registration is now open for Comhairle Showcase which will take place on Thursday 22nd November 2018 in Croke Park, Dublin. 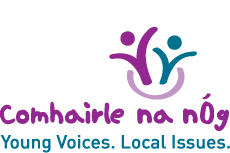 Each Comhairle is invited to select or elect fifteen Comhairle members to attend on the day. The National Executive member & additional facilitator (if required) must be included in the fifteen. You will find below your checklist with dates for submission of all forms. 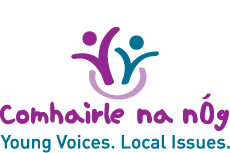 Copies of the Registration form and parental consent form for Comhairle members are available to download below, as are the Accompanying Adult & Garda Vetting declaration forms. Can you please note on the registration form the t-shirt sizes required for your group. At the closing ceremony, every Comhairle is honoured and two members from each Comhairle will be invited up to the stage to collect your Comhairle certificate. Can you please note on the registration form the names of the two members nominated from your group.